BMW recently took to the famous Daytona Raceway to introduce their latest race car that will compete at the 2013 American Le Mans Series: the BMW Z4 GTE. 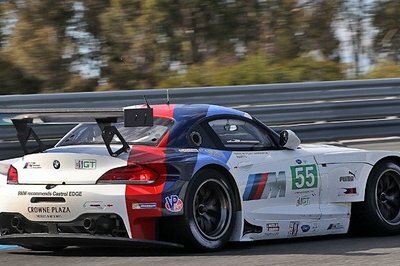 Racing under the Rahal Letterman Lanigan Racing, the Z4 GTE has some pretty high expectations to live up to. After all, it’s predecessor, the M3 GT, was one of the most successful race cars to compete in recent ALMS history. 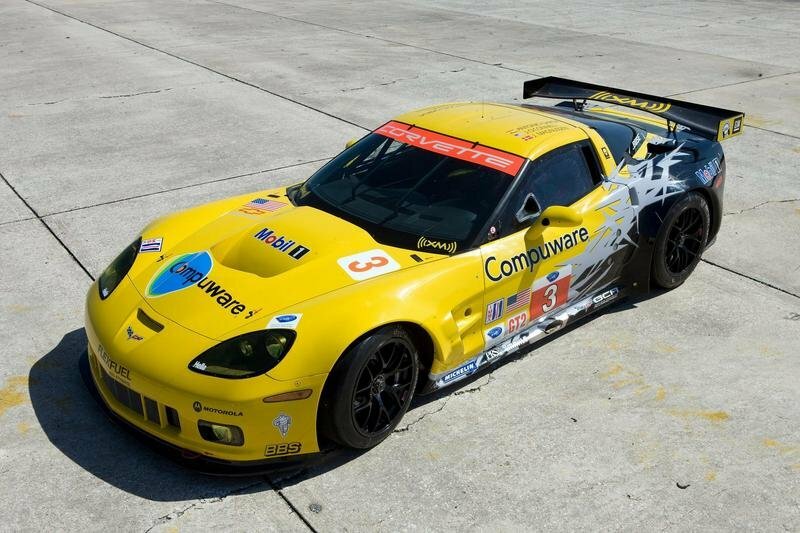 It last won back in 2011 and only lost the title last year to the Chevrolet Corvette C6.R. 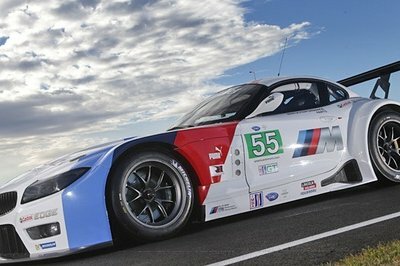 So with a year to stew over surrendering its crown to Chevy, BMW is raring to get the 2013 ALMS season started with the Z4 GTE. 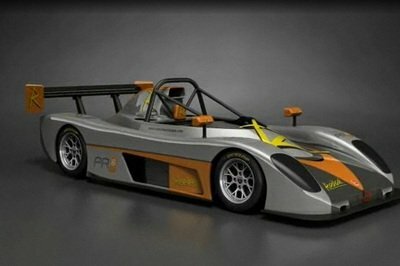 As expected, the racecar was built with racing regulations in mind, although if it performs the way its departed brethren used to, so there shouldn’t be any problems scoring some points and gaining some wins. 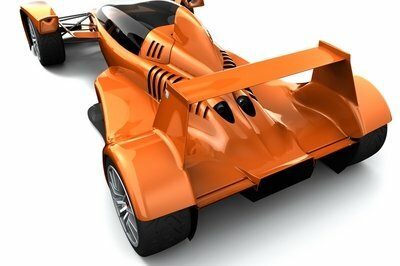 The real question is if it can return to the top of the ALMS podium, a step currently occupied by the C6.R. The BMW Z4 GTE is designed to be more compact that its predecessor, the M3 GT. The dimensions of the car are all modified to comply with ACO regulations and, as such, you have a very compact racer that is built with a steel body that comes with a welded safety cell. Aerodynamic components are also added in, including what looks like a carbon-fiber rear wing to go with larger bumpers, modified fenders, enhanced wheel arches, a new diffuser, and a set of 18-inch BBS forged-aluminum wheels wrapped in Michelin tires. BMW made no mention of what racing modifications were done on the interior of the Z4 GTE, but it more than likely includes the standard list of race-spec equipment required by GTE regulations. We’re thinking along the lines of carbon-fiber race seats, racing harnesses, a steel roll cage, and a fire extinguisher in case things go wonky and somebody needs to put a fire out. 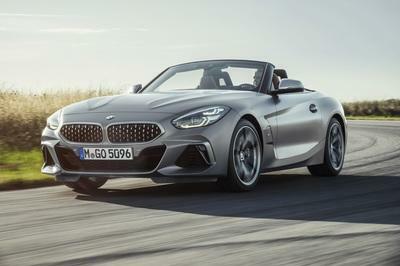 The BMW Z4 GTE will come powered by a 4.4-liter V8 engine that produces 480 horsepower and 354 pound-feet of torque and mates to a six-speed sequential sport transmission. It must be noted that the output is restricted, thanks to a mandatory air restrictor that was put in place as part of series regulations. Critical to the success of this Z4 GTE is the kind of suspension and braking components BMW installed in it. In this case, the front axle of the racecar features a McPherson axle with pushrods and wishbone and adjustable shock absorbers with H&R coil springs. Likewise, the rear axle also saw its share of enhancements, particularly the longitudinal links with wishbone, adjustable shock absorbers and H&R coil springs. As for the brakes, the Z4 GTE comes with a hydraulic dual circuit brake and monobloc multi-piston light alloy brake calipers. The price for the 2013 BMW Z4 GTE has yet to be announced, although we expect the figures to be divulged sooner than later. The BMW M3 GT experienced a lot of highs when it was racing around the ALMS circuit so the Z4 GTE definitely has some big shoes to fill if it wants to replicate the success its predecessor had when it won the ALMS GT class drivers’ title in 2011 and manufacturers’ crowns in 2010 and 2011. If it has plans of doing so, it needs to go up against the likes of the Chevrolet Corvette C6.R and the Ferrari 458 Italia GT2. The Corvette C6.R poses the greatest threat to the Z4 GTE’s quest to reclaim the ALMS title for BMW. As the defending champion, the Corvette C6.R compiled a pretty intimidating list of accomplishments on its way to winning the ALMS title last year, including four victories, six runner-up finishes, 12 podium appearances, two poles and five fastest race laps. The Ferrari 458 Italia GT2 also poses a threat to the Z4 GTE with plans of leap-frogging the latter to stake its name as another contender to the Corvette C6.R. It’s building on an impressive third place finish in the 2012 season that saw it score more points over the M3 GT in the last three races of the season. 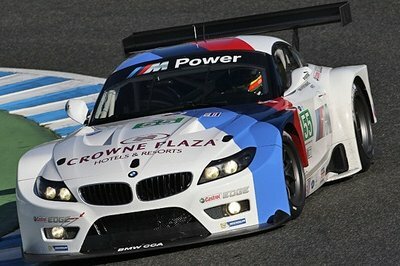 The introduction of the new BMW Z4 GTE as the successor to the M3 GT gives BMW a fresh start heading to the 2013 ALMS season. The automaker has proven that it has the car and technology to win the series, but with a new car like this one, it’s a little difficult to surmise if it has the capabilities to knock the Corvette C6.R from the top step of the podium. 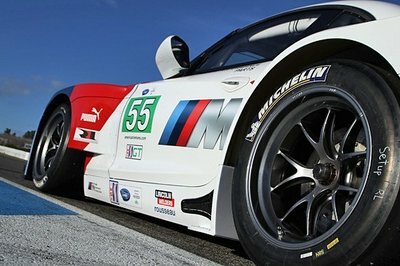 Daytona (US) - February 12, 2013... BMW is embarking on a new chapter of its motorsport commitment in North America: after four successful years with the BMW M3 GT, the new BMW Z4 GTE will take over at the head of the manufacturer’s campaign in the 2013 American Le Mans Series (ALMS). On Tuesday, BMW Motorsport and BMW Team RLL presented the car and drivers for the new season at the “Daytona International Speedway” (US). Supported by Premium Partner Crowne Plaza Hotels & Resorts, guests from around the world were given the opportunity to inspect the BMW Z4 GTE at close hand, talk to those responsible for the team, and experience the iconic racetrack in Florida from the cockpit, courtesy of taxi rides with the BMW ALMS drivers. The guests had travelled to Orlando (US) on Monday, and were welcomed that evening at a dinner in the Crowne Plaza Universal Orlando by Jens Marquardt, Ludwig Willisch, President and CEO of BMW of North America, BMW Team RLL Team Principal Bobby Rahal and BMW NA Motorsport Manager Gordon McDonnell. On Tuesday, the ALMS drivers took them on a series of taxi rides in historic BMW racing cars. 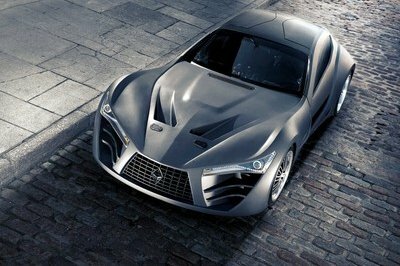 This was followed by the unveiling of the BMW Z4 GTE. BMW Motorsport also announced the driving pairs for the coming season. Car number 55 will be driven by Bill Auberlen (US) and ALMS rookie Maxime Martin (BE). Dirk Müller (DE) will contest all the races in the number 56 car. Joey Hand (US) and John Edwards (US) will alternate as the two-time ALMS GT champion’s driving partner. Edwards will stand in for Hand when he is unavailable due to his parallel commitment in the DTM. Jörg Müller (DE, #55) and Uwe Alzen (DE, #56) will bolster the squad at the endurance races at Sebring (US) and Road Atlanta (US). 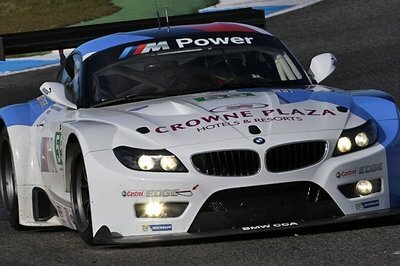 The BMW Z4 GTE will contest its first season in 2013. In July 2012, BMW Motorsport engineers in Munich (DE) began work on developing a GTE version of the BMW Z4 GT3, which would comply with ACO regulations. The BMW Z4 GT3 itself has enjoyed many years of success in high-class GT series around the world. The regulations stipulate that electronic aids that may be used on the BMW Z4 GT3, such as ABS and DSC, are not permitted on a GTE car. The BMW Z4 GTE is considerably more compact than its successful predecessor, the BMW M3 GT. All the dimensions of the BMW Z4 GTE have been modified to comply with ACO regulations. 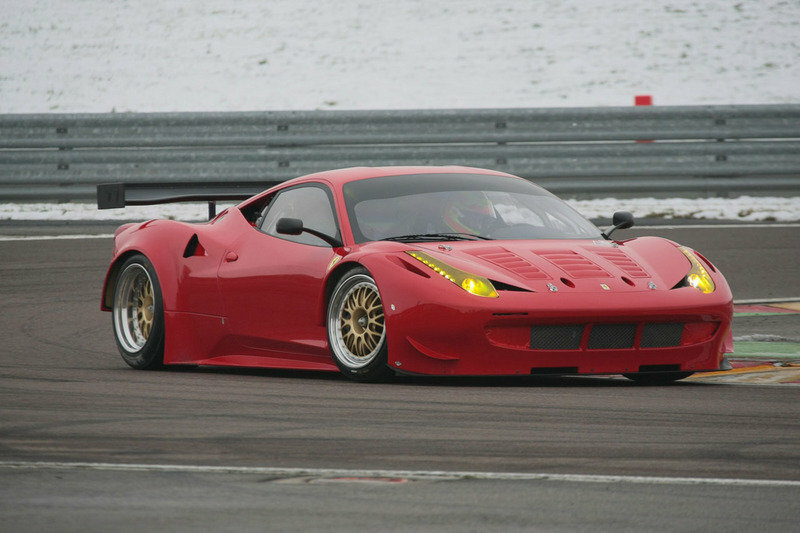 The new car took to the racetrack for its maiden test outing in the second half of January. BMW Team RLL was integrated in the process throughout the entire development period. Engineers from the USA travelled to Munich in December to play their part in the assembly of the BMW Z4 GTE. 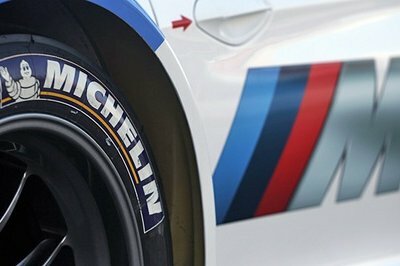 The car is not the only important new thing BMW Team RLL can look forward to in the coming season: Michelin is the new Tyre Partner of BMW Motorsport in the ALMS. In contrast, Premium Partner Crowne Plaza Hotels & Resorts is something of a constant. The successful cooperation will continue in 2013. Crowne Plaza Hotels & Resorts belongs to the InterContinental Hotels Group. IHG maintains, runs and owns over 4,400 hotels and more than 658,000 rooms in approaching 100 countries. 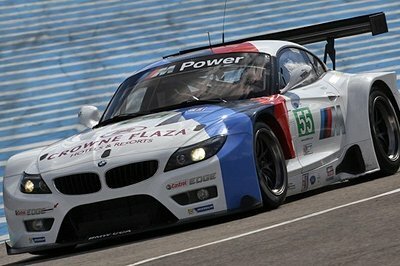 The 2013 BMW Z4 GTE will look nice even if it is custom built for ALMS racing or even in the simple road. 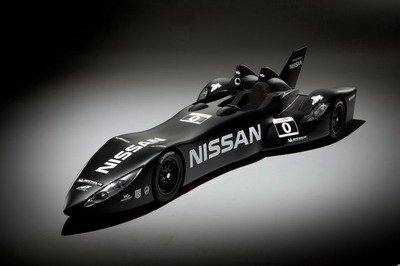 But if it is going to be used in public car, then I will choose to change its back design since the back reminds me of racing cars.